Cursed House is back! This time, the haunting has spread through a small town once bustling with life. The evil was summoned by a magical amulet, and now that amulet is our only hope for removing the curse. The amulet is a powerful catalyst of energy, but all that energy was expended to summon the evil that now resides in town. 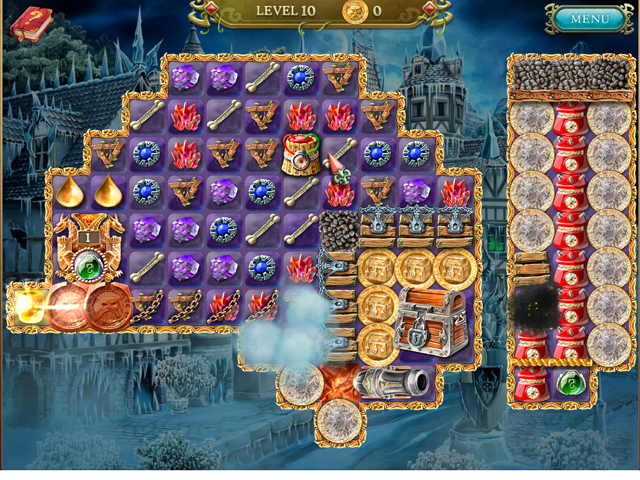 Recharge the amulet by collecting all the tokens and banish the ancient evil in this spooky match 3 game. Cursed House 6 is rated 3.8 out of 5 by 24. Rated 5 out of 5 by deddu from ANOTHER GREAT ONE Fun, Colorful with lots of explosions. This is a great series. Rated 5 out of 5 by melissa845 from Great for the intermediate and the experienced player.. The new casual level with unlimited moves and unlimited time is what really makes the game enjoyable for me. I find the game is still pretty hard, One must like the challenge of solving puzzles. The directions are vague and I must admit sometimes I am not sure how I solved some of the more advanced levels so far (LOL). So now I know why it is called "Cursed House..."
Rated 5 out of 5 by twtscat48 from Another Curse has been placed!! I love these cursed house games. I have all of them as soon as I see a new version it's pretty well a purchase right away. It's still the same format meaning your typical match 3, but they do change it up a little on each version. I purchased this game as well. I recommend this game!!!! Rated 5 out of 5 by marita7399 from Love the Cursed House series from the 3rd one and up These games are great! I love the fact that they are not based only on limited moves although you can select that mode. I like time based games and most match 3's do not come with that option anymore. These are match 3's are a puzzle plus matching 3. The Laruaville games designed by the same people are the same and I play them over and over again and they are always fun to play! Just wish they would produce more games like this more often!! Rated 5 out of 5 by Shekit from Love this series Have all of this series.. all are great..I bought it before tried the demo.. Rated 5 out of 5 by cowclaudia from WAS HOPING FOR A HALLOWEEN GAME And here it is! Love the Cursed House games and this came out just in time for Halloween. There's nothing really to add for those who have played the other CH games - same game play with the exception of different look to the board pieces - but still fun with just enough but not too many mini games (my pet peeve) but love the solitaire mini games and am finding this rather easier than the other CH games - maybe practice makes perfect. Rated 5 out of 5 by JeansLady1 from I've been watching for Cursed House 6 Beginning the week leading up to Halloween, I hoped every day that I would see a new Cursed House. I have Cursed House 3,4,5 and knew I would add 6 whenever it appeared. I was delighted to see it and downloaded the trial version a few minutes after it became available. After playing it for a few minutes, I purchased it. There really was never any doubt that I would get it. This is one of my very favorite game series, hands down. 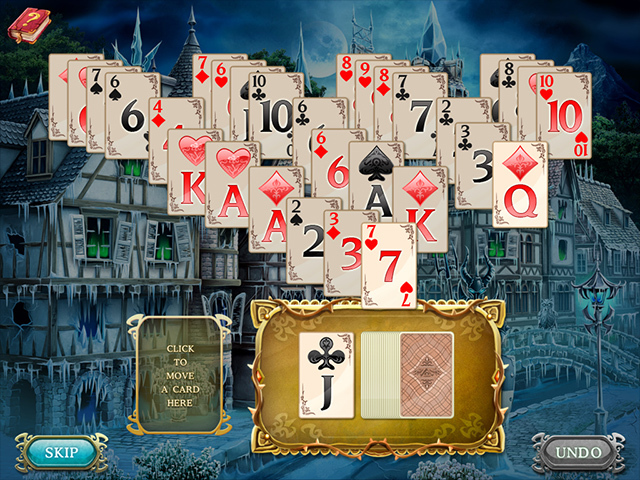 I agree with another comment here that it never gets old - it's a unique match 3 and the hidden object, find-the-difference and solitaire games that occasionally pop up are fun, too. It's a nice variety. As has been said here and in other Cursed House reviews - remember that it's all about the coins. No matter what else is going on in the game, target the coins and you will win the level. This game is a total delight. There are others who do a superb job of going into great detail about the game, so I will leave that to them. I really do recommend giving this game a try. There's a lot going on; but over a period of time, if you hang in there I think you'll be hooked on this game series, too. Don't get discouraged quickly. Rated 5 out of 5 by compcrzy from It's a winner! I love this series and this one is as appealing as Cursed House 5 was. I love the new graphics. The play seems to be the same formula, but that's ok. I don't need surprises. It's a win-win formula that works for me. Going to buy it right now! 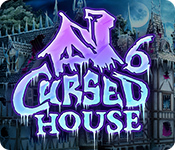 Rated 5 out of 5 by Trash89 from Just in Time For Halloween The Spooky Cursed House is back with another adventure of Restoration of a Cursed Castle. The same spooky music and all the same features. Love this game and have all the others in the series. Played the demo and bought art after a few levels. Sure beats going out for Trick or Treating for Sweets. I recommend this game. This town was cursed and has been a haven of evil spirits. 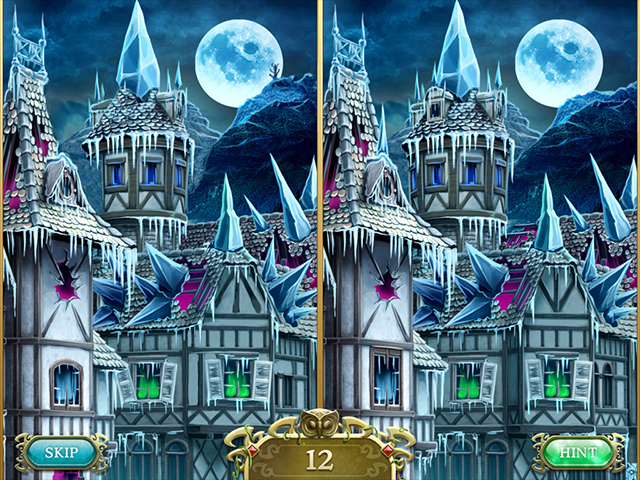 Banish them in this spooky match 3 game.